The Eagle brand of cars takes its name from the last of AMC’s wholly U.S.-designed vehicles, the AMC Eagle. Some would say the Eagle was the first true SUV, since it incorporated all-wheel-drive and car-like design. Sadly, it was the last car AMC would produce before being bought out by Chrysler. Then chairman of Chrysler, Lee Iacocca, sought to integrate and re-brand the AMC legacy cars into Chrysler’s structure and the Eagle brand was born. The first two Eagle models – the Premier and Medallion – were products of an AMC partnership with Renault. The remainder of Eagle models were simply re-badged Chrysler models with the exception of some captive imports produced by a partnership with Mitsubishi called Diamond Star Motors. DSM produced Mitsubishi cars that were re-badged as Chrysler and Eagle models. The Plymouth Laser was a Mitsubishi Eclipse, as was the Eagle Talon. The Talon was Eagle’s halo car and outsold the Laser. The Eagle brand was eventually phased out and discontinued entirely in 1998. Reasons for the demise of the brand came down to competition within the Chrysler umbrella and Eagle lacked unique vehicles to set them apart from the cars Chrysler and Mitsubishi were selling. 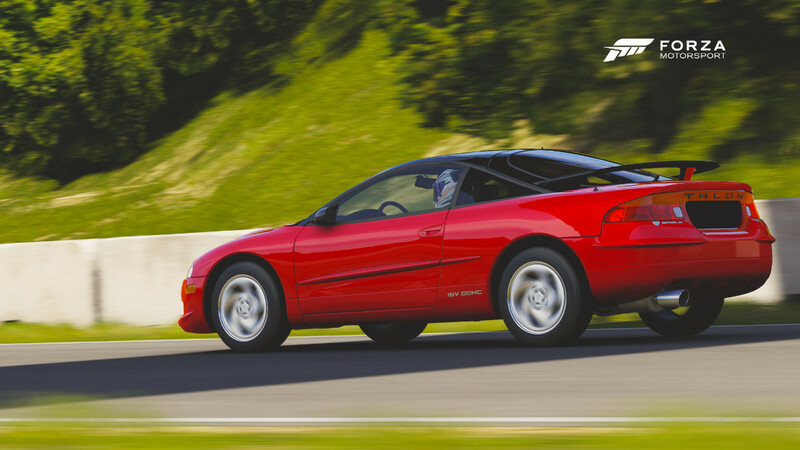 The Eagle Talon is both a great performer and one of the best results of an unlikely partnership between Chrysler Corporation and Mitsubishi. Built in the “Diamond Star” plant (the name comes from combining the Chrysler Pentastar with the Mitsubishi triple-diamond logo) in the United States, the Talon and its cousins—the Mitsubishi Eclipse and the Plymouth Laser—were all the products of joint development. With unique styling, this second-generation Talon may have be the best-looking of the Diamond Stars, with the contrasting black “cockpit” style roof paint and a sporty rear wing. Looks aren’t the only thing the Talon has going for it, as the rally-inspired (and competition-tested) combination of a high-output turbocharged engine and all-wheel drive mean the Talon can provide ample thrills on any surface. It also has the distinction of being the very last Eagle car ever sold, making it an item of interest for future collectors, or anyone looking to experience a unique and high-performing car.